We produce 11 journals, including Nursing Standard, to provide health professionals with the latest developments impacting nursing, including changes in policy, practice and research. 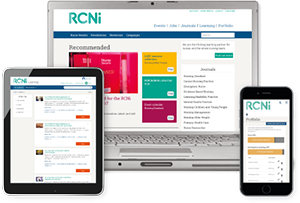 We also offer a range of digital products including RCNi Decision Support, designed to support decision making and standardise care across organisations, RCNi Learning, an interactive online resource of CPD training modules, and the RCNi Portfolio, an online store and tracking system to help you with revalidation. 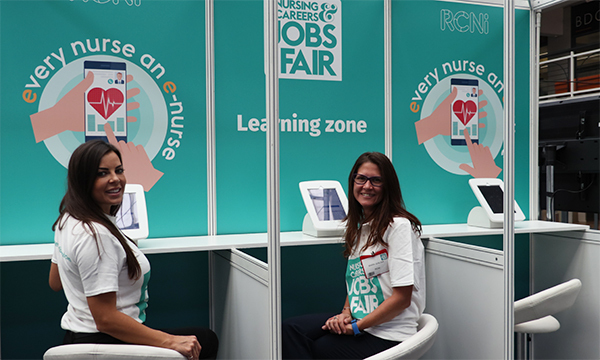 We celebrate exceptional care in the profession through the RCNi Nurse Awards, and help to develop careers and enhance practice with events such as the popular Nursing and Careers Jobs Fair, and revalidation seminars. Founded in 1987 and formerly known as RCN Publishing, RCNi is a wholly owned subsidiary of the Royal College of Nursing. The RCN's Royal Charter, standing orders, regulations, policies and processes ensure good governance of the organisation. Click here to read more about these governance documents. RCNi is a proud member of STM, the global voice of scholarly publishing. Each of our journals provide authoritative coverage of their specialist fields, including peer-reviewed clinical content and continuing professional development (CPD) articles. Click the links below to access our individual titles or click here to discover more about our journals. We are continuously improving and adding to our range of digital products to help guide you through your studies and continuing professional development (CPD), to develop your career, and to help you to deliver outstanding patient care. We aim to inform and inspire nurses at every step of their career. With over thirty years at the forefront of nurse education, and as part of the Royal College of Nursing Group, we are a trusted provider of expert nursing information. Click here to find out more about how our products and services can enhance your practice. We hold many popular events throughout the year, including the RCNi Nurse Awards, the UK’s biggest ceremony for celebrating innovative practice and exceptional patient care in the nursing profession. We also organise the Nursing and Careers Jobs Fair, the largest nursing recruitment event in the UK. Our jobs fairs are held across the country and provide nurses with the opportunity to meet employers face to face, and to attend free seminars that offer insight into everything from revalidation and preceptorship, to improving interview skills. The Nursing and Careers Jobs Fair is free to attend, simply register on the website. Click here to view our calendar of upcoming events, or click here to discover more about the RCNi Nurse Awards.